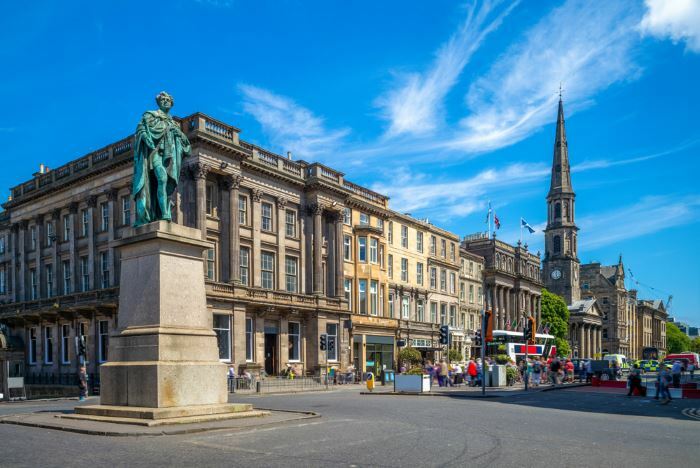 If you’re searching for a taste of Scotland, then look no further than its capital, Edinburgh. Offering up haggis, Harry Potter and a massive hill, you’d be hard pressed to find somewhere more inherently Scottish that offers up all the elements you are looking for! First things first, on my recent trip to Edinburgh we made one mistake, and that was deciding to book the earliest flight possible. While this meant that we had more time to spend in the city, it also meant that we missed out on sleep the night before our flight, and consequently cut the following evening short, in favour of more time in bed. So, book a flight during sociable hours, just trust me on this one! Due to our excessively early flight, we decided to make our way up to Edinburgh Castle for some killer views and coffee. With sun rays breaking through the cold, crisp morning and bagpipes playing in the distance, it truly was the ultimate way to begin our weekend. To warm up, we made the short walk from the castle down to Victoria Street, the iconic crescent of rainbow-coloured buildings looked truly glorious, especially in the magic of Christmas. We made a pit stop at La Barantine, a charming French patisserie serving up croissants and pains au chocolat, which was just big enough to cram our party of six inside. Since we visited during December, the Christmas markets were in full swing and posed an excellent way to spend a few hours of our afternoon. Full of festive fun, warm cocktails and mouth-watering bratwursts, we could hardly walk past without tasting it all for ourselves. 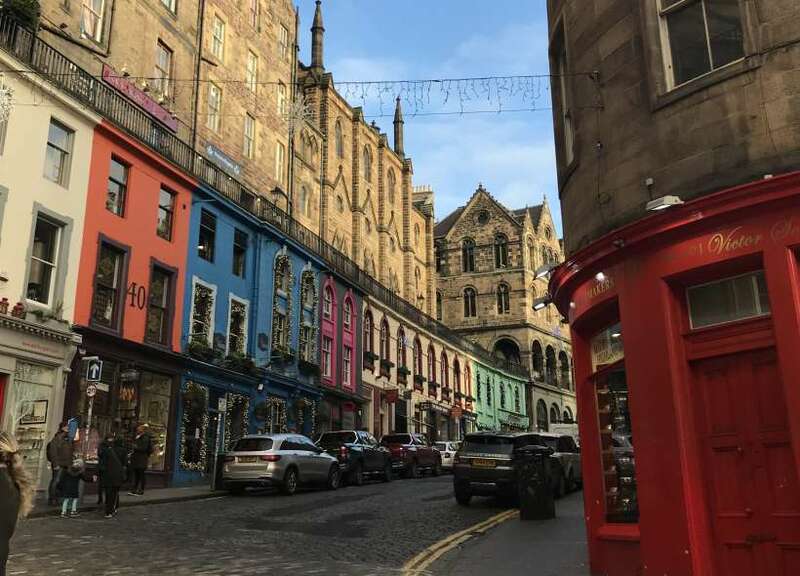 While you may not be so lucky to enjoy the delights of a Christmas market, the shops of George Street offer fabulous alternatives. Pick up beautiful pieces from pretty boutiques or a keepsake to remember your trip by. After walking thousands of steps, you’ll certainly deserve a rest and the best place to do that is in a traditional Scottish pub. We found a cosy pub down a cobbled street, not far from the centre of all the action called, Teurchters. 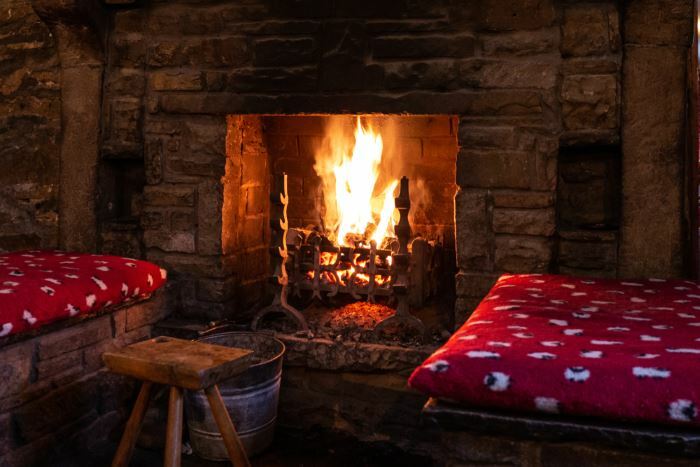 Sip on some Edinburgh gin, or opt for the more classic national drink – whisky, then cosy up in the corner next to the fire with your scrabble board and let hours of fun ensue. After a few games of Scrabble, we went back to our apartment before heading out for dinner. If you are looking for food recommendations, Ting Thai Caravan offers up very reasonably priced, delicious Thai food (funnily enough). We recommend the Gaeng Kiew Wan Gai (a green curry with chicken), and the Panang Nua (a creamy red curry with beef). Following a day of eating, exploring and excitement, our second day was even more jam-packed! 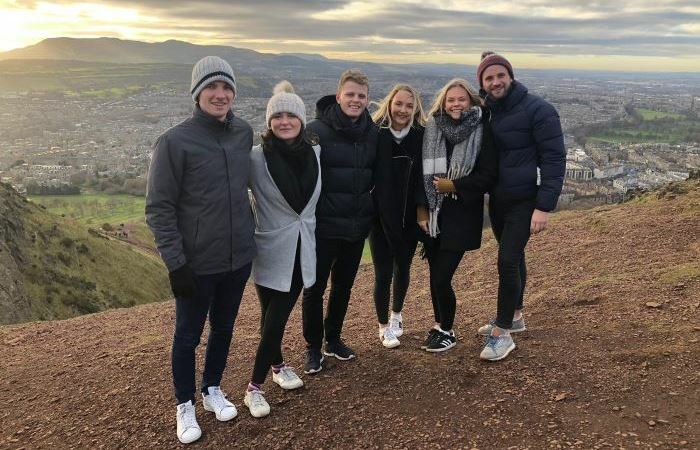 We began our morning with a trek up to Arthur’s Seat, which was less of a brisk walk and more of a mountain climb. Trainers or walking boots are a must when heading up to the peak, it took just over half an hour from the road to reach the summit. From the top, breathtaking views of Edinburgh Castle, the city and the North Sea were visible, and certainly worth the climb. Heading back down was much more relaxed and took a fraction of the time, made easier by the fact that we knew the pub was waiting! Following our Sunday morning walk, a large pub lunch was due, and since we were in Scotland we could hardly leave without trying haggis! We erred on the side of caution and ordered the savoury Scottish pudding as a side to avoid disappointment. To my surprise, I wasn’t disgusted by it. I’ll spare you the details of what actually goes into haggis and you can decide whether or not to do your research. Disclaimer: it’s not pretty! 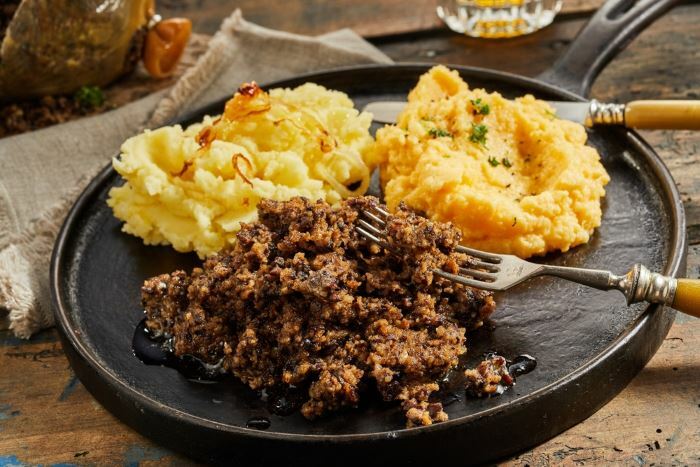 Considering the gut-wrenching ingredients, the taste is pretty good, but maybe try a little bite before ordering a large helping of haggis, neeps and tatties. It’s not to everyone’s taste and you wouldn’t want to be disappointed now, would you? If you went to Scotland without trying whisky, did you even go? Some might say yes, but we think a trip to the Scotch Whisky Experience is a must. 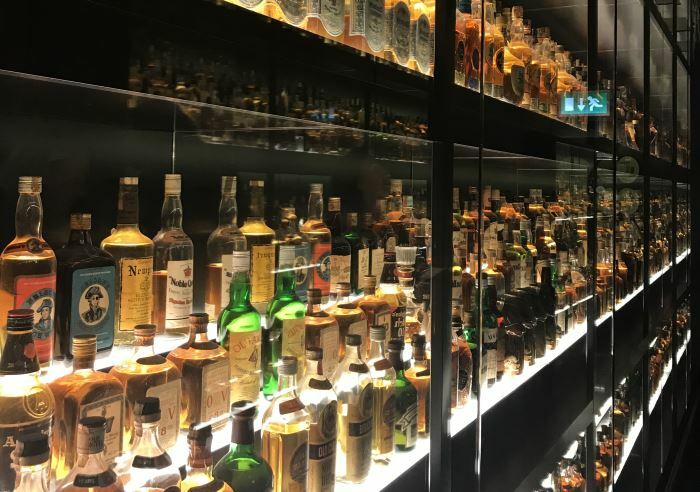 The silver tour includes a whisky barrel guide through the production of Scotch whisky, an introduction to the aromas of whisky and a dram of the whisky of your choice – not to mention a viewing of the world’s largest collection of Scotch whisky. But if you want to go all out, booking the gold tour is totally worth it for the four extra drams, which allow you to taste a selection of whiskies from different distillery regions. Finally, enjoying a cocktail in The Dome is a great way to finish off your trip. With ornate decorations and alcoholic concoctions that taste like they’ve been created by angels, this really can’t be missed! As mentioned, we visited during Christmas, and nowhere in the Scottish capital was the festive spirit more obvious. 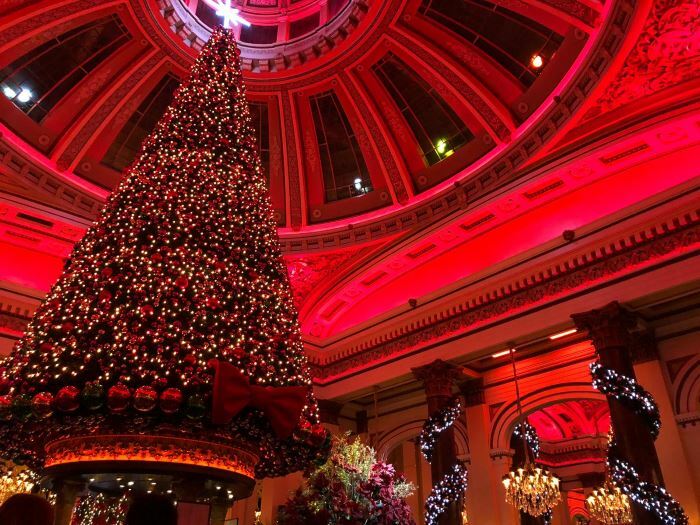 With a Christmas tree towering over the bar and fairy lights twisting around the columns, The Dome looked stunning and more importantly, offered excellent photo opportunities. We imagine they’ll have something special in store for Burns Night, too.